T‌his was the remit for the planning and realization of the new processing plant for Leibfritz, a company based in Undingen/Germany. 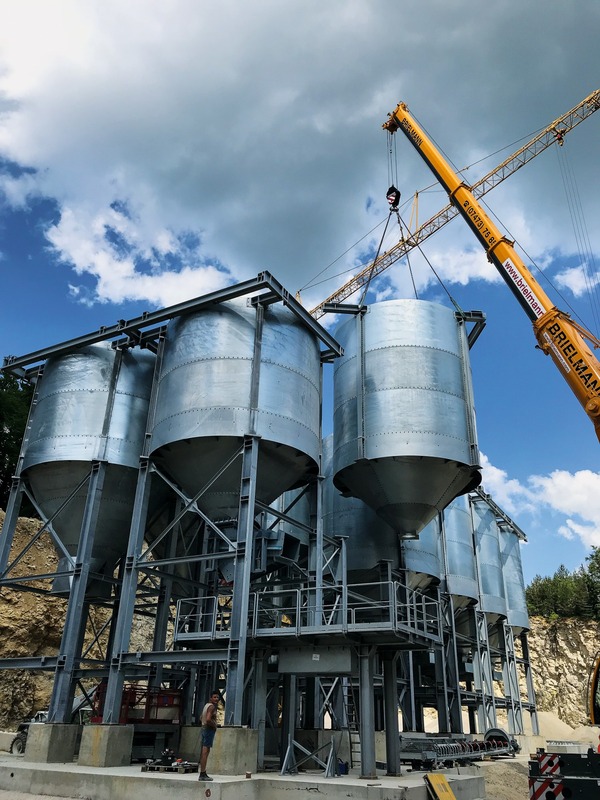 Because of the age of the existing plant and the many new regulations and standards introduced, Leibfritz opted to have a completely new screening and silo installation designed, built and optimally adapted to the conditions at its company site. 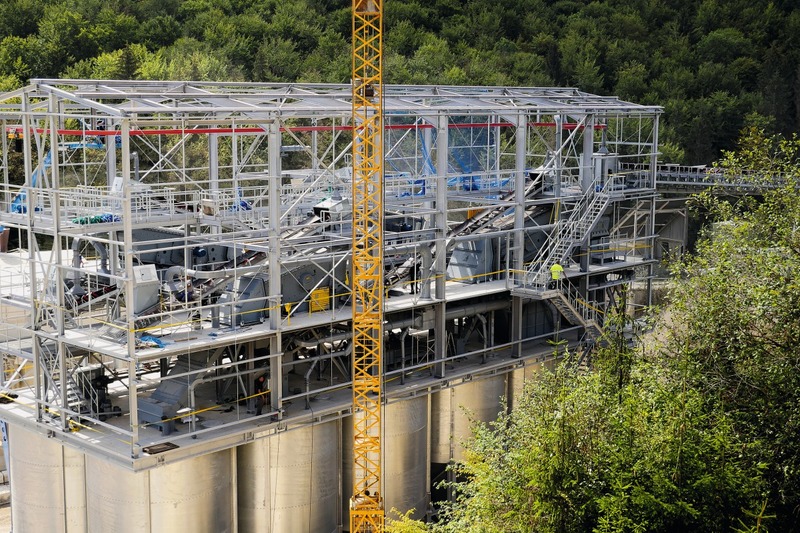 For this project, the company August Müller worked in close cooperation with Leibfritz to plan, design, manufacture and assemble the plant from the first idea to commissioning and naturally beyond this. 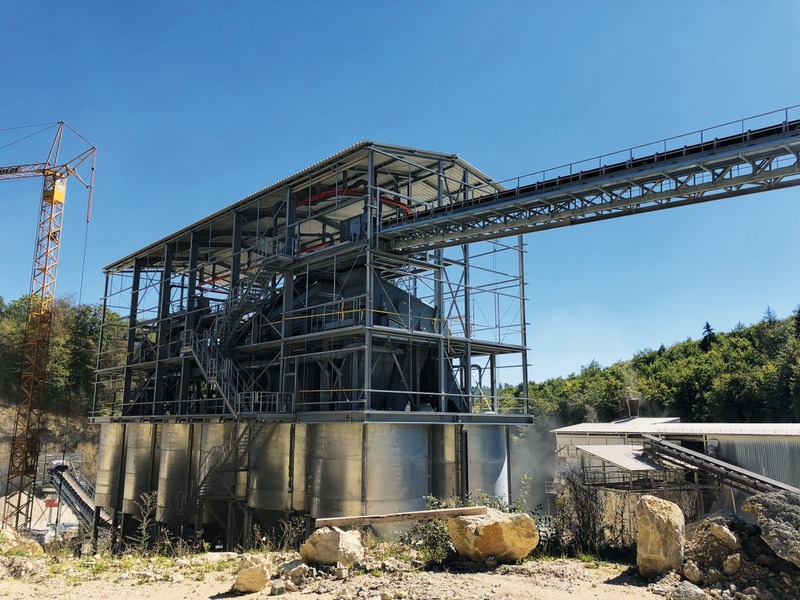 During the planning phase, provision was made to meet all the specifications and needs as well as for the geographical situation in the quarry. 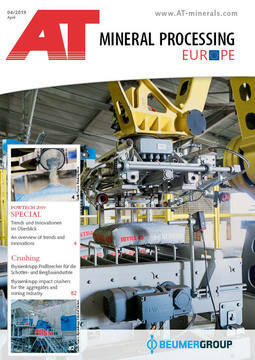 This resulted in an individually tailored plant that optimally fulfils the customer requirements. The project begins with the interruption in the current material feed downstream of the primary crushing station. With a belt stacker, it was possible to continue production with the existing plant to the last day, and only after completion of the new installation was the switch made to the new material supply line via the belt stacker. 1 – 2/2 – 5/5 – 8/8 – 11/11 – 16/16 – 22/22 – 32/32 – 45/45 – 56/56 (X). 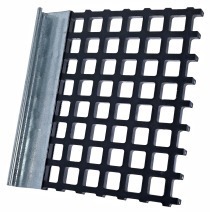 Fine screening with the proven BiviTec screen is one of the highlights of the installation. 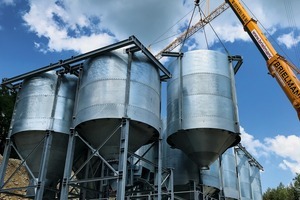 With the enclosed design and covering of all screens and belts, the integrated dust extraction system, which has been installed separately next to the screen on the dust silo, can ensure optimal dedusting and contribute to the high material quality of the finished product. 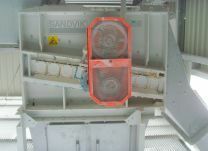 Under the 12 silos, the individual fractions are removed on feeder belts and sent on a collector belt to the loading station. In the loading tower, a pan mixer has been integrated, to which water is supplied for ideal blending of the individual ballast mixes. 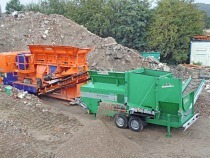 With height-adjustable loading equipment, the blends can be gently loaded onto lorries in a dust-free operation. 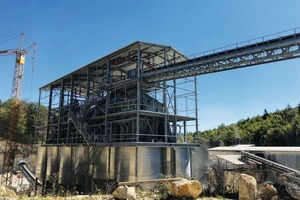 Following completion of the project, it can be proudly asserted that the customer‘s specifications have been optimally merged with the technical possibilities of rock processing and a plant installed with which top-quality material can be produced in a reliable process, with high plant availability, on the highest level for many years to come.